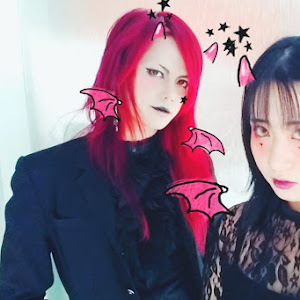 Peripera is a brand created and developed under the umbrella of Club Clio. Unlike its sister makeup brand Clio, which is all about elegance, Peripera is all about whimsy and fun, as their main target audience are teenagers. 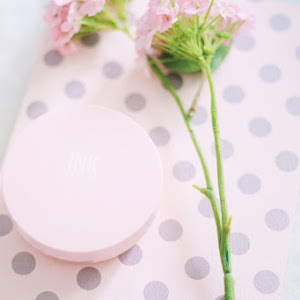 Their most popular and best-selling products are their lip tints, but today I'll be reviewing their cute new pink cushion. 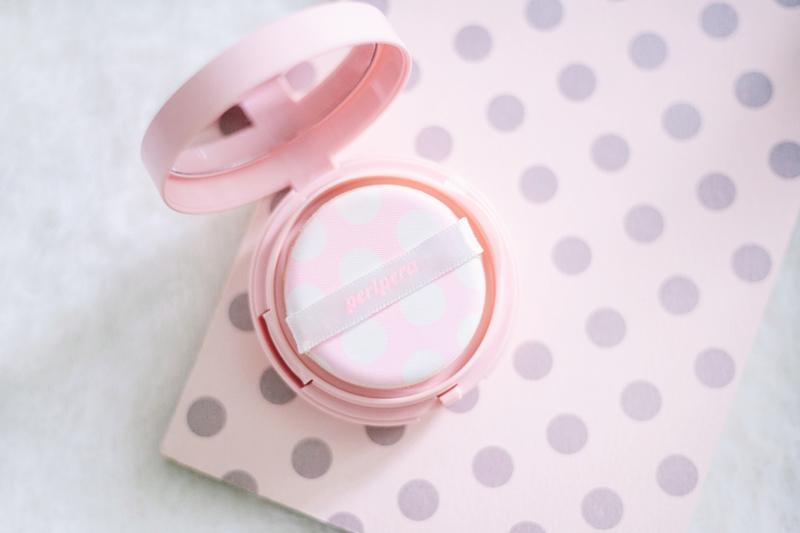 Peripera claims: "Look flawless all day as if you're wearing a soft focus filter! Soft focus effect for a flawless look. Seamless adherence for a natural pink glow. Extra strength staying power. Skin looks luminous even after six hours." 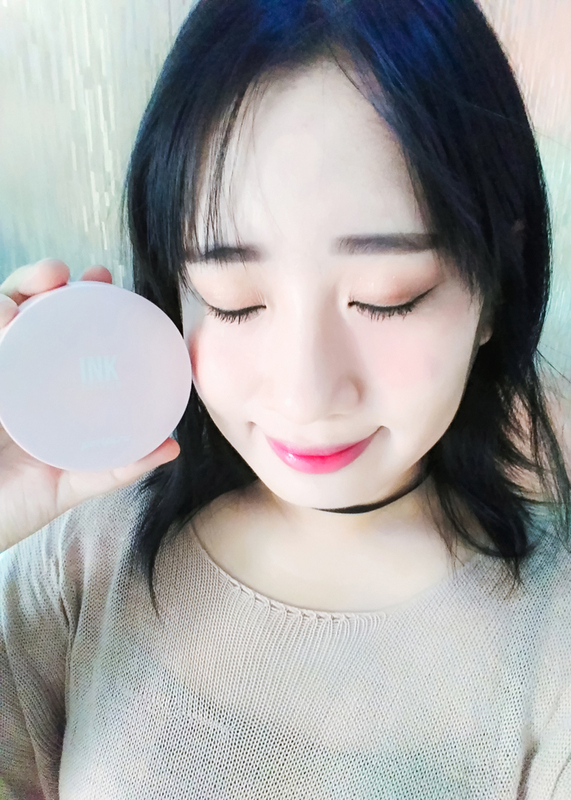 Part of Peripera's new line of products for F/W 2016, this cushion was formulated to give a "pink base filter effect" and "pink tone whitening effect" – think soft, pinkish-white glow. To put it simply it's a pink-based, whitening cushion. I confess – half the reason why I wanted to buy this cushion was because of the packaging. (It's baby pink!!) When I actually got the cushion, I felt a bit disappointed. It's cute, but it feels a bit cheap, kind of like the plastic they use for toy makeup. Quite different from the Etude House cushion I used previously. It comes with a full mirror and a standard puff – just the basics. I'm not sure if you can remove and replace the cushion part once it's used up, since it doesn't come with a refill. 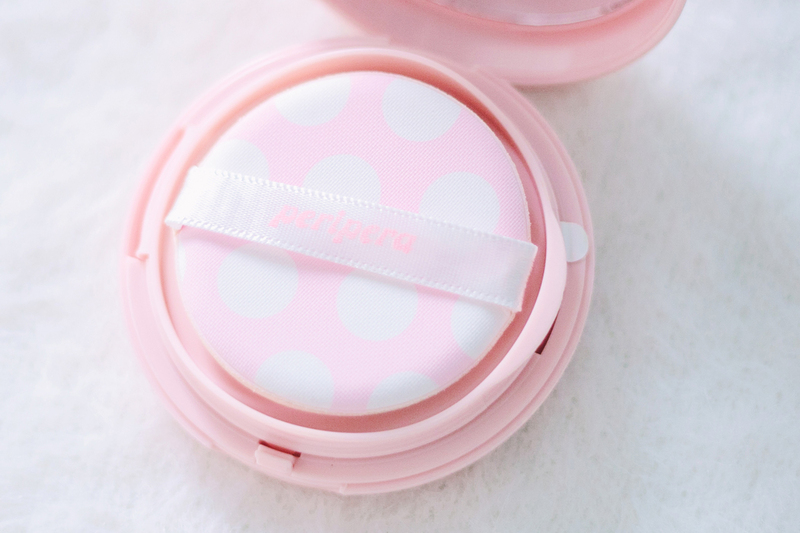 As with all other cushions, this comes with its own puff, which you use to apply the product onto your face. I'd only used one other cushion before, so I was wondering why this puff felt so different. With a bit of research I got my answer—this puff isn't made of rubycell. Rubycell is a material that is non-absorbent and anti-bacterial, so rubycell puffs absorb less product and apply in a thin, even layer. Since this puff is not made of rubycell, I've been having a hard time applying product onto my face evenly without caking. Using a damp blending puff worked much better for me. I plan to buy a rubycell puff for it soon. This cushion boasts of "skin-fitting polymers that cover up your skin and make a thin layer to keep moisture on your face". 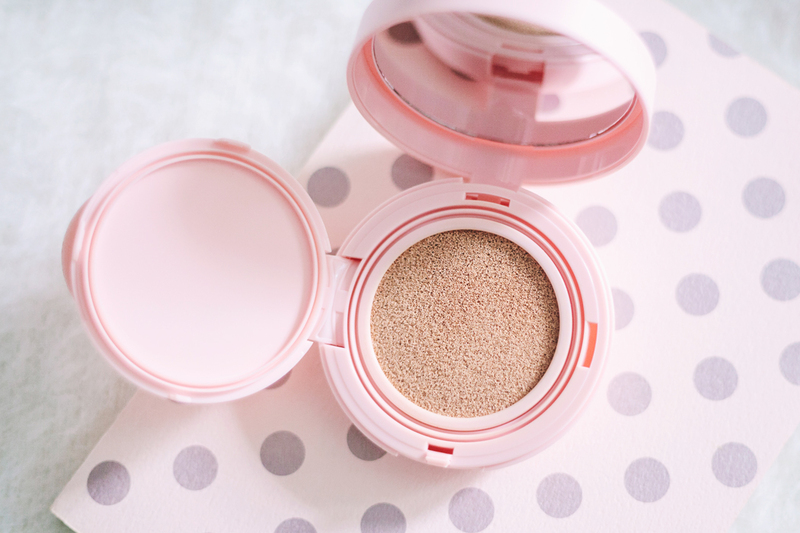 And it's true – this product fits the skin well and doesn't feel heavy on the face at all. It's also moisturizing and gives a soft, dewy look. It comes in only two shades—#1 Pink Ivory and #2 Pink Beige—which are both pink-based. Think of them as the usual #21 and #23 cushion shades, but lighter and pink-based. The one I have is the latter, Pink Beige. I wasn't sure if I should try this at first, but someone once said to me that I was actually pink-toned and not yellow-toned as I believed, so I gave it a shot. Surprisingly, the color fits my face really well! 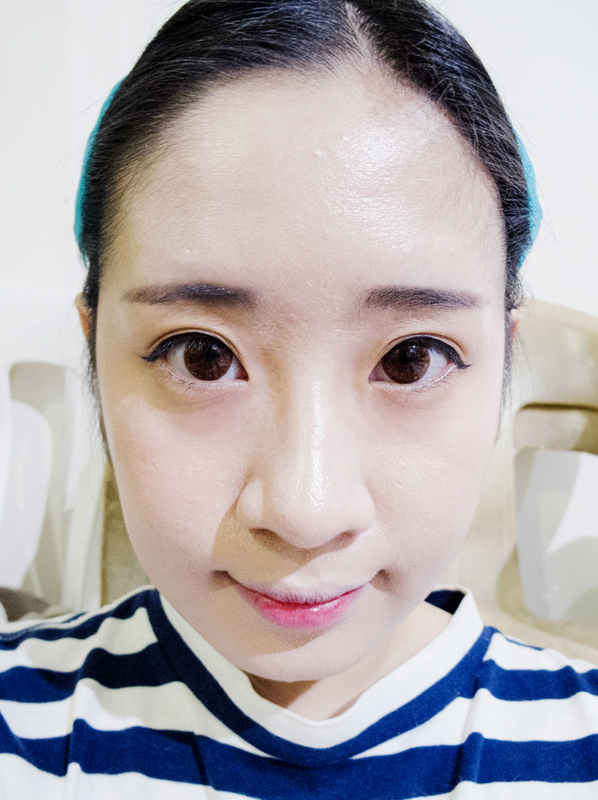 It also has a whitening effect, to make the face look as if it's brighter and more radiant. 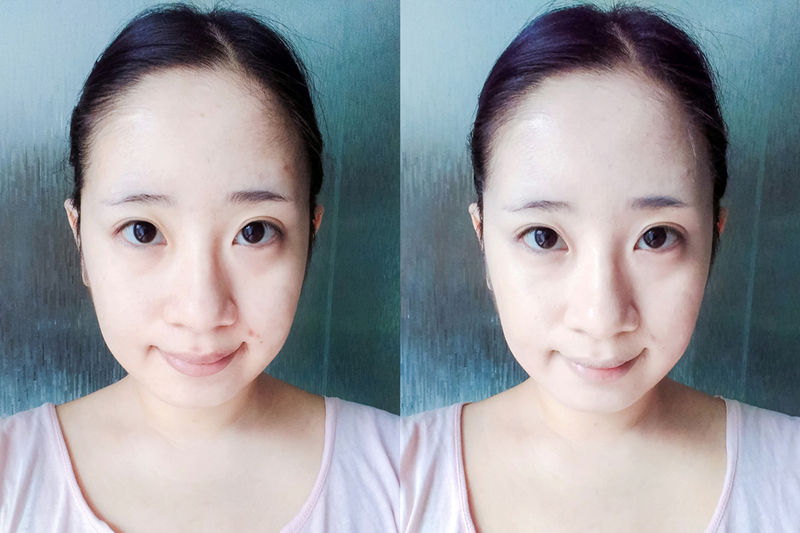 The whitening effect isn't super obvious, but if you're not into whitening or brightening products, you might not like this. I personally like it, because it looks quite nice in photos.. and I take A LOT of photos. The only downside is, since my neck (and the rest of my body) is darker and more yellow-toned than my face, it looks quite mismatched, unless I apply all the way down to my neck as well, or use a darker powder to contour the sides of my face. I'd say this product has medium buildable coverage. On a normal day I can get away with just using this product because it really evens out my skin tone, but for dark undereye circles and super dark spots, I still have to use concealer. Also, as much as I want to love this cushion, sadly it only looks good if you use it on a good skin day. I've been testing this cushion for a while now, and I noticed that on days that my skin had a lot of dry patches, this only made my skin look worse. But on good skin days, such as days I took my time to baby my face the night before, this looked good. 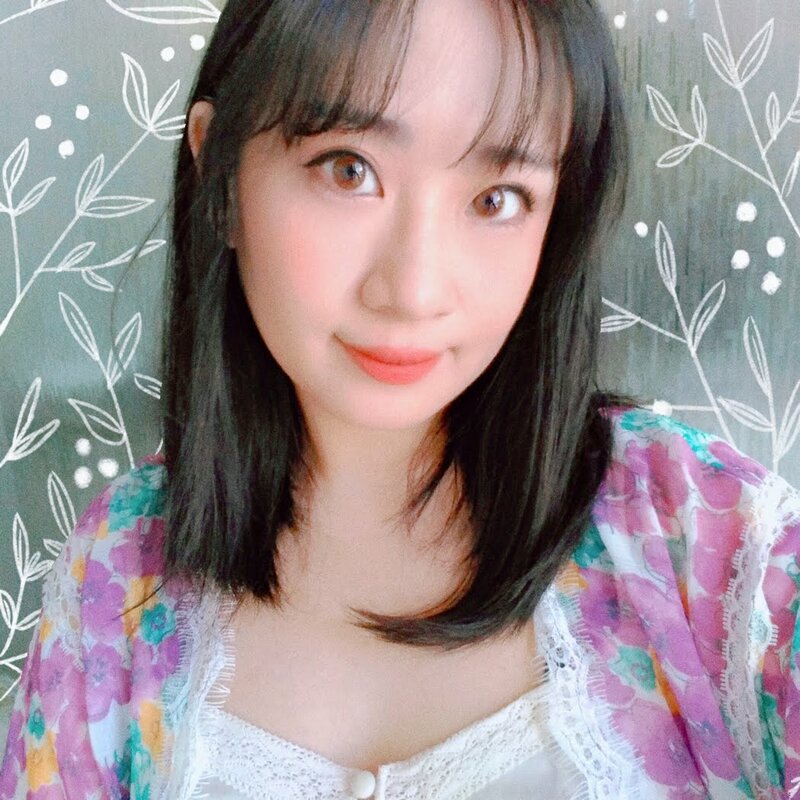 I wore it to an event once (I always use a sheet mask the day before an event), and it looked great on me. I even got a lot of compliments! Taken on a different day, after more than 9 hours outside, only blotting once in the middle of the day. All my makeup's still intact, but you can see there's visible creasing on areas where I have fine lines. I also used the puff to apply the product, so it looks a bit cakey. Lasting power is great. Just as the product claims, it stays on your face even after six hours. The only thing is, this doesn't have any oil control. 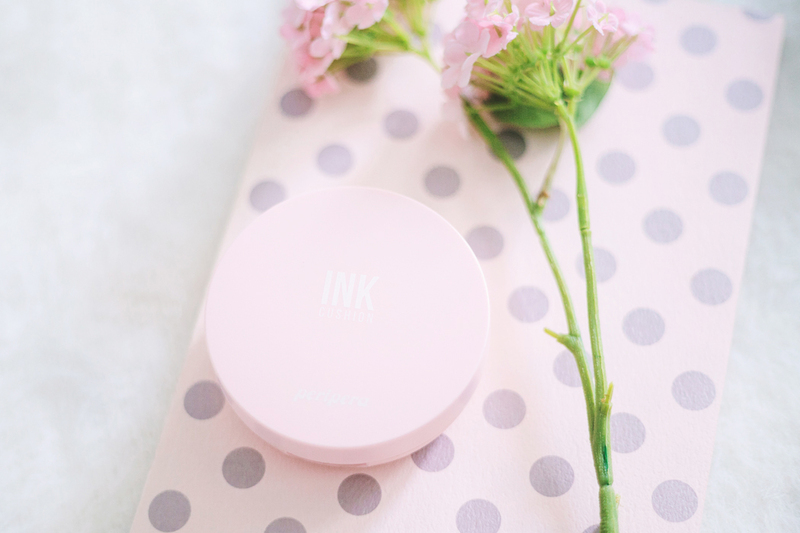 I tried using this without an oil control powder, and my face was an oily mess after just a few hours. 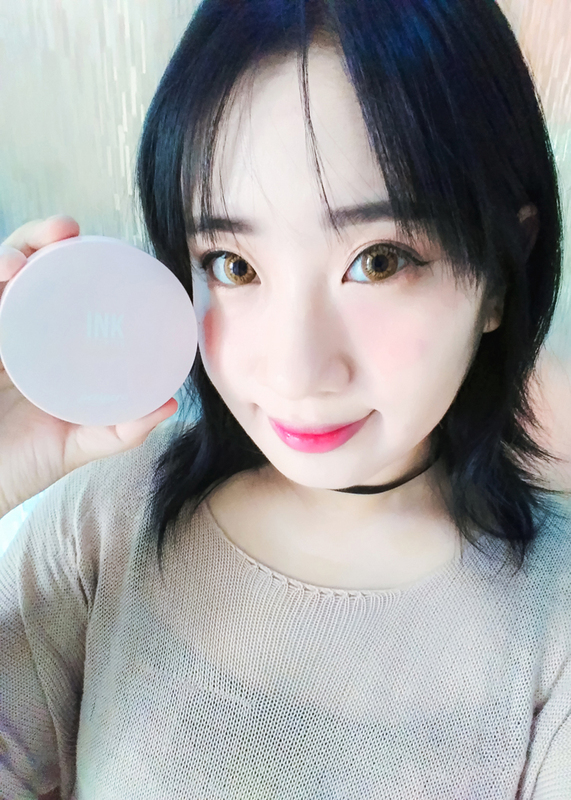 The makeup was still there and didn't break down much—only in the areas where my makeup usually creases, like my laugh lines and the sides of my nose—but my face, especially my T-zone, looked so oily ;__; So if you have oily skin, you'll need a good oil control primer or an oil control powder (or both). 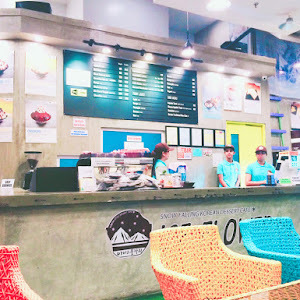 I use Innisfree's No-Sebum Mineral Powder for that. For a cushion, the price is relatively cheap compared to the usual P700 to P1000, which I'm guessing is because Peripera is a brand that mainly targets teenagers. It's a decent cushion for that price point, in my opinion. 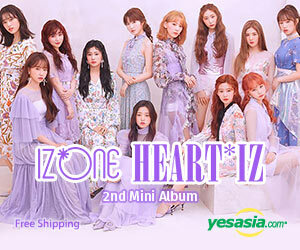 I bought mine from KkochiPida for P545 (which is more or less the same as the price in Korea), but for readers outside the Philippines, you can purchase this from YesStyle, or directly via the Club Clio global site. This product has so many cons.. but I can't help but like it! As a whole, I don't love this cushion, but I love how it looks on me. If you're looking for something to cover up trouble areas though, I don't recommend this. 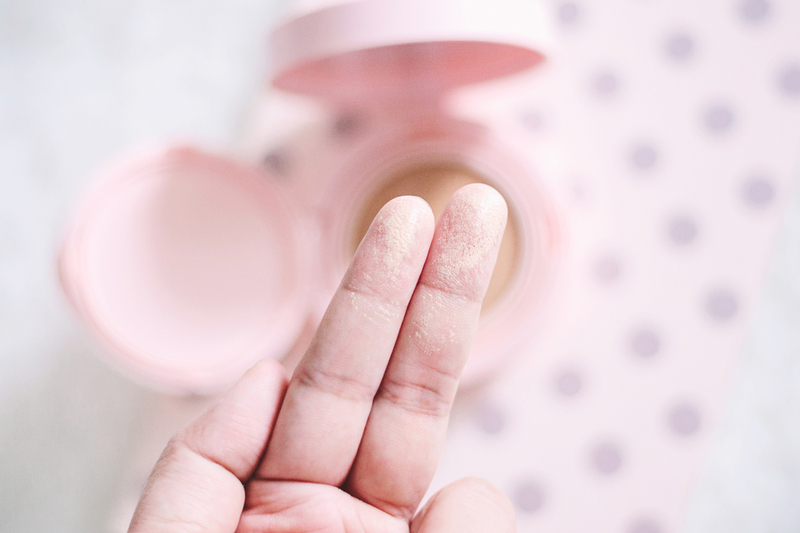 If you have fairly good skin, or if you're like me whose scarring is mostly just leftover post-inflammatory hyperpigmentation, and if you're okay with brightening, pink-toned base makeup, then this would be okay to try. 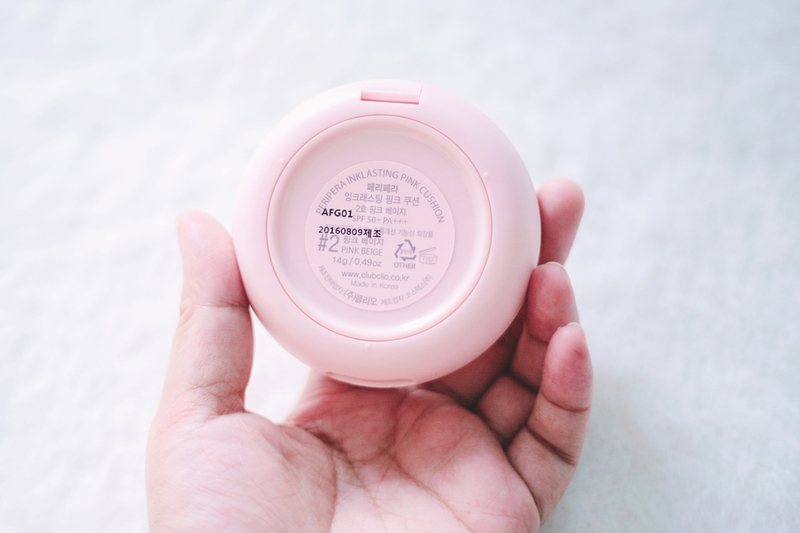 If not, there are a lot of other cushions with almost the same price point that might work better for your skin – Missha's M Magic Cushion, for example. 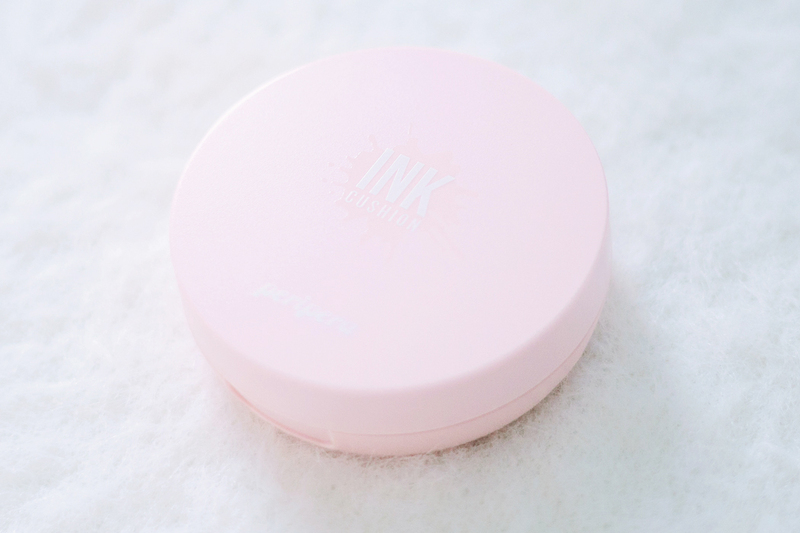 Honestly, for someone living in the Philippines, I shouldn't be using this at all because it has ZERO oil control.. but I like how it looks on me too much ;___; Once I use this up I probably won't repurchase, and instead look for something more humid weather–appropriate. If you have suggestions, do let me know in the comments!